and you get the VIP status for free ! ! do you want to enjoy videos without a membership? you can now choose from the topics below series of videos on demand. members can enjoy all these videos and many more uncensored, full-length and in FULL HD plus tens of thousands of high-res photos. non-members can download some videos in HD (no membership required). 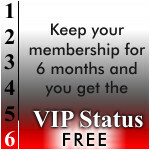 vip-members have access to many more videos and photos in the VIP lounge.